Car booster seats have made strides in ensuring a proper fit for children in the back seat, according to a review by the insurance industry. for properly restraining children, or about 30 percent, according to results released Wednesday. Last year, the Institute only handed out its "best bet" citation to nine of the 60 seats it reviewed, or 15 percent. Booster seats are used by children between the ages of 4 and 8 and elevate kids so seat belts fit them better. Seat belts are meant to be routed across a child's upper thigh and cross over the middle of the shoulder to provide protection in a crash. A 2009 study by the Children's Hospital of Philadelphia found that children ages 4 to 8 who ride in booster seats in the back seat are 45 percent less likely to sustain injuries in crashes than children wearing only seat belts. The government recommends booster seats for children over 40 pounds until they are 8 years old or 4 feet, 9 inches tall. The Virginia-based Institute focuses on how well the seat belt fits on an average booster-age kid in most vehicles. It doesn't conduct vehicle crash tests to evaluate booster seats because the seats don't restrain children in a crash, seat belts do. 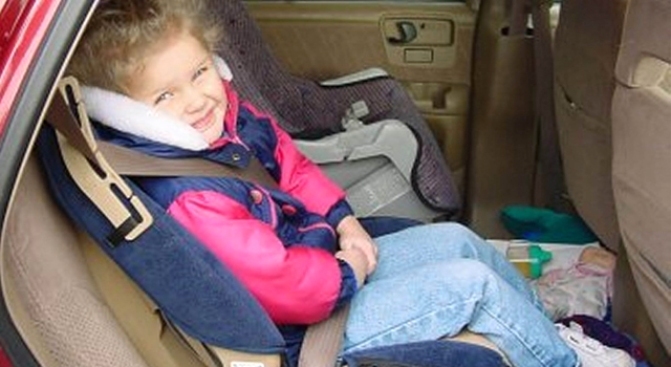 Harmony Juvenile Products had five "best bet" booster seats, more than any other manufacturer. Dorel Juvenile Group had five seats that rated either "best bet" or "good bet," the second-highest designation. Booster seats built by Britax, Clek, Combi, Dorel, Evenflo and Recaro had "best bet" booster seats for a second straight year. Seats by Chicco, Cybex, Graco, Harmony and The First Years joined the "best bet" ranks in 2010. In addition to the 21 seats that received the top rating, seven seats received the Institute's second-highest rating of "good bet" and 36 were in the middle category because they didn't consistently fit belts well on most children in most vehicles. The Institute said consumers shouldn't assume that boosters in the "in-between" group will fit children in every vehicle. Parents should try them out to see if the lap and shoulder belts fit their kids properly and keep looking until they find a good match. The Institute did not recommend: Eddie Bauer Deluxe, Eddie Bauer Deluxe 3-in-1, Evenflo Express, Evenflo Generations 65, Evenflo Sightseer, Harmony Baby Armor, Safety 1st All-in-One, and Safety 1st Alpha Omega Elite. Dorel Juvenile Group, which manufacturers the Eddie Bauer and Safety 1st seats, said in a statement that it evaluates and continues to evolve "current products to enhance their performance with new technologies and designs." Michael Noah, a senior vice president with Harmony Juvenile, said the company was pleased with the overall results and said the Baby Armor seats had performed well in testing conducted by third-party laboratories for the company. Evenflo did not immediately respond to the Institute tests. Anne McCartt, the Institute's vice president for research, said parents should be wary of lap belts that ride up on the tummy and shoulder belts that either fall off the shoulder or rub against a child's neck.